Embsay is a little village in the western part of the Yorkshire Dales. Embsay is home to a quaint traditional working steam railway that was built in 1888. The village is at the base of Embsay Crag from the top of which are panoramic views of the stunning Dales landscape. Embsay is a village in the Craven district of North Yorkshire, England and is situated about 2 miles north-east of Skipton. The village is grouped with the neighbouring village of Eastby in the civil parish of Embsay with Eastby, which has a population of 1,758. The rock formation to the north of the village is called Embsay Crag, at the foot of which is Embsay Reservoir. The crag marks the start of Barden Moor, a large expanse of open moorland which is popular with walkers due to it being open access land. 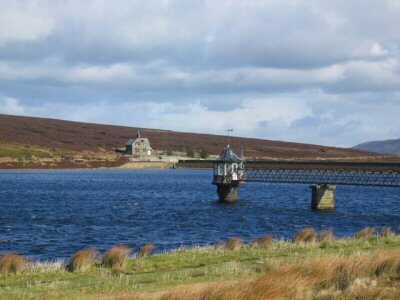 There are two reservoirs within the moor; Upper Barden Reservoir and Lower Barden Reservoir. Embsay has two pubs, the Elm Tree Inn at the north end of the village, and the Cavendish Arms at the southern end of the village near the station. The Elm Tree Inn and surrounding Elm Tree Square take their names from the elm tree that stood in the centre of this junction for many years. It was replaced in the late 20th century due to Dutch elm disease, but in 2006 that replacement was also taken down. A replacement tree was planted in 2007.